On Saturday January 24, a drug bust in Ivey located in Wilkinson County, GA resulted in the arrest of two individuals, 32-year-old Amanda Helms, and 57-year-old Herman Bill Hendricks, Helms’s uncle, according to a news article at 13WMAZ.com. At the time of news reports, a third suspect, 51-year-old Cynthia Mixon, could not be located. According to an Ocmulgee Drug Task Force news release, authorities had been investigating the sale of prescription drugs including oxycodone for about a month prior to the arrests. Helms was followed by investigators when she met with Hendricks, who allegedly gave her money to buy prescription drugs from Mixon. As they continued investigating, Helms went to Mixon’s home, then left and proceeded to go back to give the drugs to her uncle (Hendricks) when both were arrested. A search warrant was served by agents at Mixon’s residence, but she was not there. According to Task Force commander Wesley Nunn, Mixon knew that a warrant had been issued for her arrest for selling prescription drugs. Authorities believe that she is on the run, and that her two teenage children may be with her. Upon entering Mixon’s home, agents seized evidence including prescriptions pills, methamphetamine, cell phones, pistols, and other guns. Helms and Hendricks were charged with felony use of a communication device to facilitate a drug transaction. In addition, Hendricks was charged with felony possession of meth and oxycodone, three counts of obstruction of a law enforcement officer, and driving on a suspended license. Helms was additionally charged with felony possession of Schedule II drugs (oxycodone), drugs not kept in original container, and possession of drug related objects (needles). In the state of Michigan, oxycodone possession is a felony that will leave those convicted facing serious criminal penalties. Even in amounts less than 50 grams, the accused could face up to four years in prison along with fines of up to $25,000. As with many drug crimes, the amount in an individual’s possession is a factor in how harsh the punishment will be if he/she is found guilty. Many people are prescribed potentially addictive drugs including oxycodone and Vicodin; unfortunately, they become addicted to the drugs and require more and more of it to achieve the “euphoric” feeling, which often results in individuals obtaining the medication illegally. 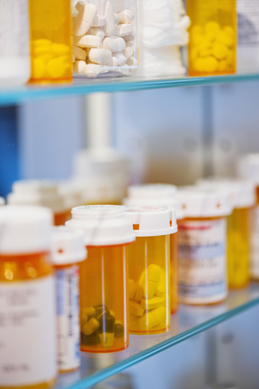 Regardless of your situation, if you have been arrested or are under investigation for possessing or distributing/selling prescription drugs, it is vital to speak with a Michigan drug crime attorney immediately. Your legal rights and freedom must be protected. A skilled defense lawyer will work to have charges dismissed when possible, or obtain an acquittal should you go to trial. There are various legal options available that can result in a far more positive outcome.